Their paper, Charismatic Leadership and Rhetorical Competence: An Analysis of Steve Jobs’ Rhetoric, published in Group & Organization Management, looked at how Jobs adapted his rhetoric for different situations. Using Aristotle’s classic tools of persuasion – ethos, pathos and logos – the study looked at how Jobs used each of them in different situations, from the courtroom, to a TV interview and a conference on digital technology. Professor Heracleous believes leaders in business and public can learn a lot from the rhetorical skills exhibited by Jobs and “employ them to increase followers’ belief in their charisma as well as their own effectiveness as a persuasive speaker”. “We found that Jobs did not exhibit a single rhetorical style, but rather altered it depending on the situation and yet still managed to deliver a constant message to support his company’s strategy,” Professor Heracleous says. “Our research highlights how it is important for leaders first to be clear about the central themes they wish to emphasise and second to employ these across all situations where they have to speak publicly, no matter what the context. "Further, Jobs’ rhetoric drew from figurative language, using stories and metaphors to emphasise his messages. In each one they looked at the ethos – Jobs’ credibility in the situation – how Jobs used pathos – appealing to the audience’s emotions; and logos – the extent to which he used logical arguments. “We found that the driving factor in Jobs’ rhetoric was his perceived ethos, which significantly influenced how he used logos and pathos," Professor Heracleous adds. “Leaders can follow Jobs’ example and try to understand the level of their perceived ethos, how credible they are with that audience. 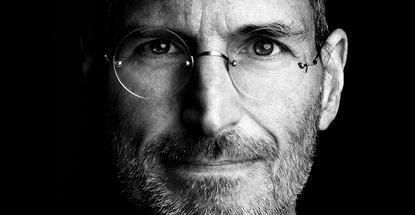 Jobs was also able to deliver a constant set of messages or themes across the different scenarios, about his company’s products, future journey and exceptional people. “We found Jobs exhibited high proficiency in customising his rhetorical style to the broader contextual situation, but simultaneously there were constant features in his rhetoric, in terms of central themes and root metaphors, indicating that an important skill of leadership may be the integration of continuity and customisation in leadership rhetoric," Professor Heracleous adds.